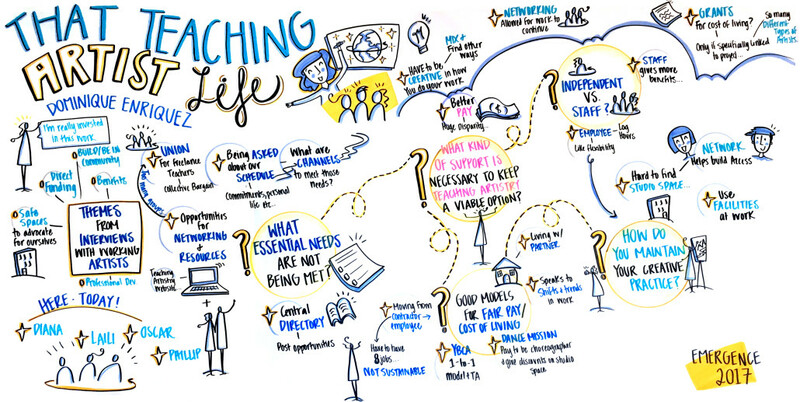 How can arts workers embody our whole being in our work and in our lives? What impact on our world do we make when we fully participate in community and civic engagement, and what impact on our industry do we have when we bring our whole selves—with all our interests and identities—to our work? 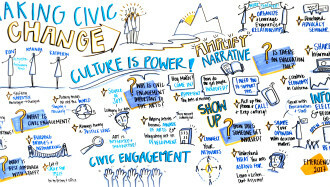 Join colleagues for an inspiring day of critical introspection, collective strategizing, and creative action at Emergence 2017: Whole Person, Whole Impact — presented by Emerging Arts Professionals San Francisco/Bay Area (EAP) and the Jewish Community Center of San Francisco (JCCSF) — where we will explore the impact of bringing our whole selves into our work and out into our community. KEYNOTES: Oakland-based actor, poet, and cultural worker Lisa Evans and San Jose-based hip hop artist, educator, and community organizer Demone Carter will share and inspire through presentations that integrate their administrative leadership and their creative practices. 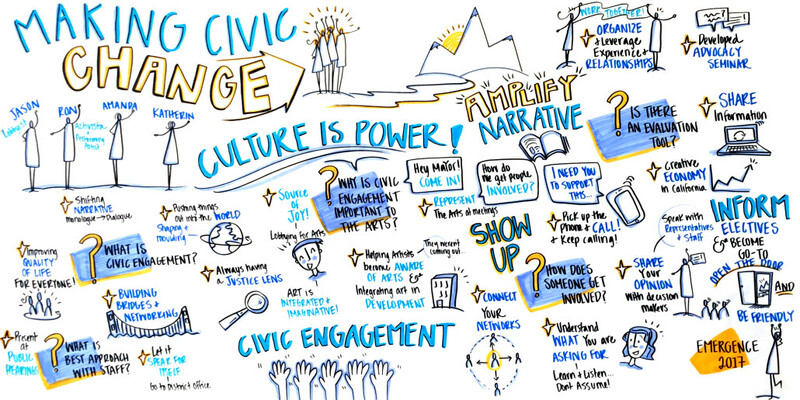 Making Civic Change: It’s easier (and harder) than you think! Plus, find out what this year’s EAP Fellows have been learning and creating, get advice about your project idea with Intersection for the Arts and Center for Cultural Innovation, catch your breath in the Self-Care Salon… and so much more! – By attending the event, you agree that your image and voice may be recorded and used by EAP for documentation and promotion and to share on all platforms. – Creating an event and space that is accessible to everyone is a priority. Please let us know what accessibility needs you have, so that we can do our best to provide them. – Please practice awareness and help us make this event healthy to all by arriving fragrance free. – The JCCSF requests that no pork or shellfish be brought on the property. This event has ended, but scroll down to check out more on presenters, sessions, photos, and wrap-up! Join your EAP network and community for our 7th annual convening! 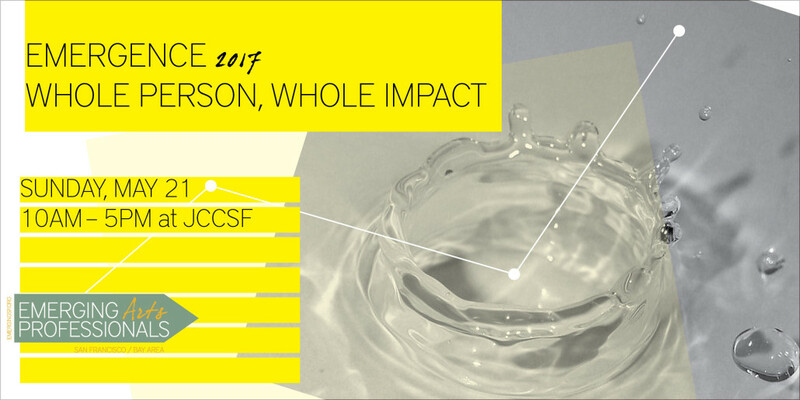 Emerging Arts Professionals San Francisco/Bay Area presents Emergence 2017: Whole Person, Whole Impact. 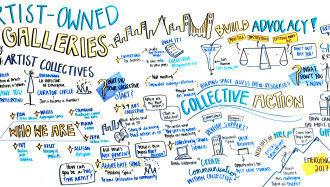 Emergence provides a collaborative platform for Bay Area arts and culture workers to connect, share ideas, and elevate their work and voices. This year, we will explore the impact of bringing our whole selves into our work and out into our community. NEED A RIDE? >> Shuttle service between Civic Center BART and the JCCSF is provided by The Mexican Bus! See schedule below for details. 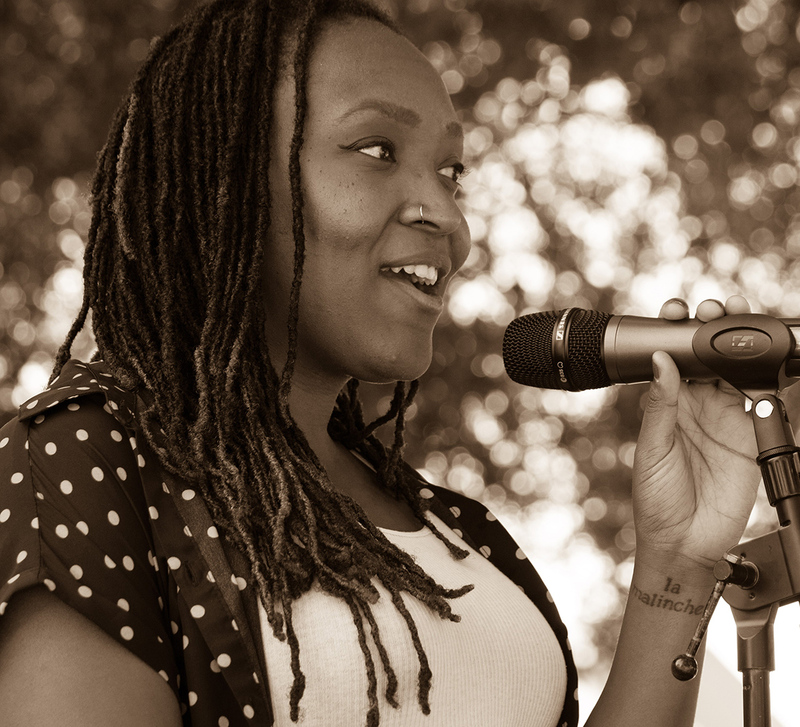 Lisa Evans is a black non-binary actor, poet, and cultural worker based out of Oakland, CA where they currently work at the California Shakespeare Theater’s Artistic Engagement Department. They have worked with several different Bay Area youth development and arts organizations including Youth Uprising, the QT Network of Alameda County, Peacock Rebellion, Destiny Arts Center and more. They most recently performed as a part of Queer Rebels Fest and Brouhaha: QTPOC Activist-Comics Rise Up. They can also be seen in award winning filmmaker Cheryl Dunye’s short film Black Is Blue. Lisa was also a 2016 YBCA Fellow and the co-founder of the How Spirit Moves Us Project, a healing arts project focused on using performance art to celebrate the struggles, resistance and resilience of Black Queer and Trans folks. A space for connecting, featuring current fellows’ projects, network resources, and a space to gather. Tend to your body, mind, and craft needs in this quiet indoor/outdoor space for reflection and self-care. So you have a great project and you need support? Come chat with Intersection for the Arts and CCI about fiscal sponsorship and grant opportunities! Two playgrounds, a gallery, a cafe, and many amenities available to the public. Contact JCCSF for schedules and availability. Invitational – pre-registration required. If you’re interested in attending this conversation and work-session, please email rhiannon@emergingsf.org. Join us in the atrium to share a meal, catch up with your fellow network members, and interact with the Round VII Fellowship projects and other network resources. Amanda Rawson has participated in the cultural art sector both as an employee and volunteer for more than seven years. Currently, Amanda holds the position of Deputy Director at the San Jose Museum of Quilts & Textiles. Amanda’s career at SJMQT started as the collections intern in 2015 and quickly developed into a part time staff position combining both gallery and administrative work. In January 2016 Amanda became the full time Manager of Museum Advancement responsible for a variety of organizational and fund development initiatives. Prior to SJMQT, Amanda volunteered, interned and worked at MACLA in San Jose (2011-13) where she gained considerable experience in both the administrative and gallery work of the multidisciplinary arts space. ❡ Amanda received her bachelor’s in Art History from UC Berkeley in 2013. During her time at CAL she immersed herself in the art practice department and focused her studies on turn of the 20th century British art. Amanda served on the host committee for the 2015 Western Museum Alliance conference in San Jose and is on the steering committee for genARTS Silicon Valley. In 2017, she completed EAP’s Round VII fellowship cohort and is involved with the Creative Cities affinity group that will present public art at BART during Emergence 2017. 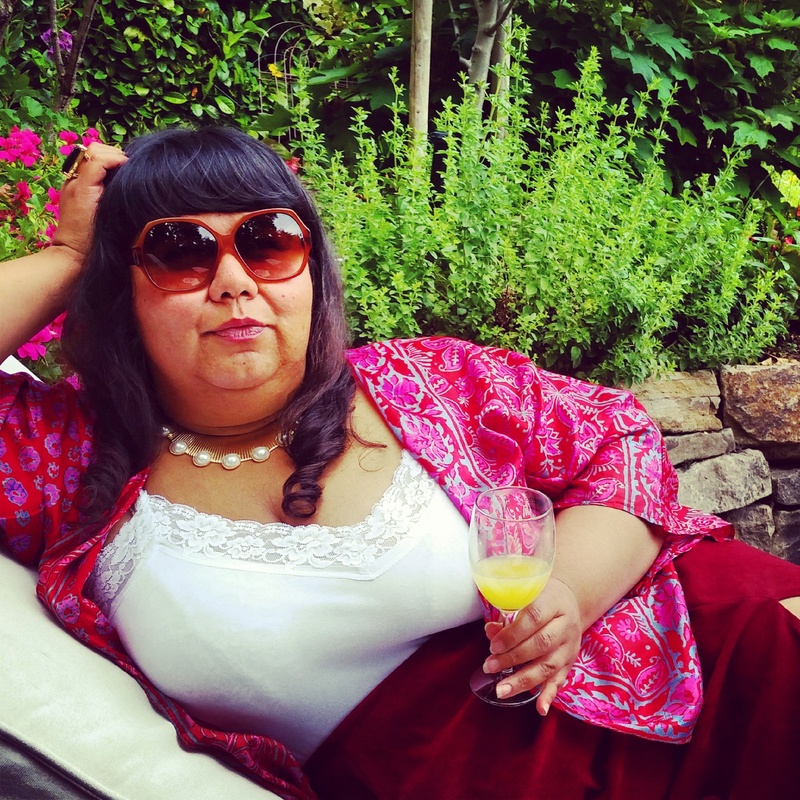 Angela “Mictlanxochitl” Anderson Guerrero, Ph.D. candidate, M.P.P., is a rogue arts professional and adjunct faculty at the California Institute of Integral Studies where she is finishing her doctorate in spiritual psychology. As a transterritorial scholar practitioner, she activates ritual and non-tangible pathways of understanding in her arts and scholarly practice, she raises attention to processes of ‘thinking’ in the mind and throughout our bodies. 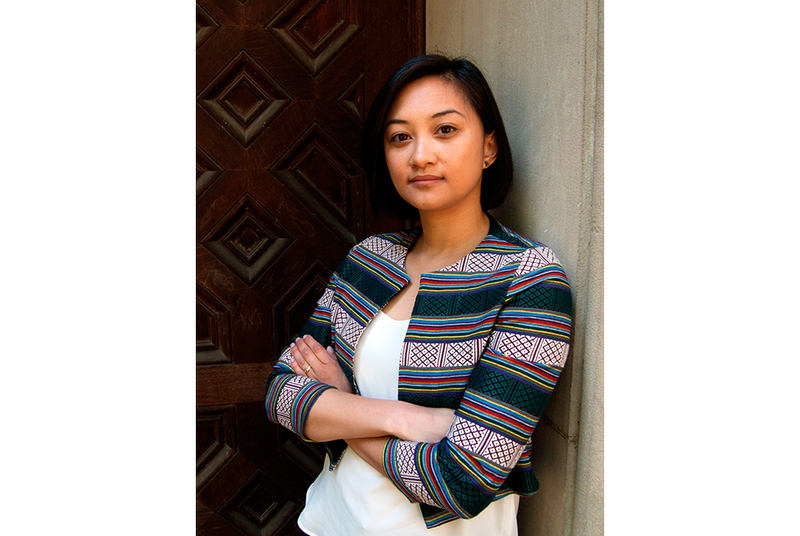 Angela is a Round V alumni of the Emerging Arts Professionals Network SF/Bay Area. Barie Wolf-Bowen holds a MA in Engaged Humanities and the Creative Life with an Emphasis on Depth Psychology from Pacifica Graduate Institute. She has worked and volunteered with many nonprofit organizations and is currently the Associate Director at Music in Schools Today, an organization providing a safety net to Bay Area schools who are lacking arts education. In her free time, Barie is a budding yogi, foster youth mentor, nature seeker, and Sildewalk Talk listener. Dominique Enriquez, Praxis: Art + Practice Dominique is a visual artist, educator, and cultural worker working with youth and adult learners in a number of different community contexts. Prior to joining the Junior Center for Art and Science as the Executive Director, she served at the Richmond Art Center as Studio Director and as the Director of Education at Leap Arts in Education in San Francisco.. In addition, she serves as faculty for the Integrated Learning Program at the Alameda County Office of Education. ❡ Dominique’s work as a visual artist encompasses multiple mediums including paint and hair to investigate ideas of race, gender, growth, love and personal history. She studied Drawing and Painting at the California College of the Arts, received her B.A. in Studio Art from San Diego State University, and her Master’s degree in Education from the University of California, Santa Cruz. Additionally, she has over 10 years of dance experience in hip-hop, ballet, and Egyptian bellydance. Supervisor Eric Mar was elected in November 2008 to represent District 1, the Richmond District. In 2012, he was re-elected for a second term. ❡ For over two decades, Eric has been a dedicated and responsive advocate for working families, youth and seniors, small businesses, and all the diverse residents of the Richmond District and San Francisco. He has lived in the Richmond District since 1986. From 2000 to 2008, Eric served as a Commissioner and past President of the San Francisco Board of Education. He led efforts to clean up corruption and financial mismanagement, close the achievement gap, strengthen parental involvement in educational policy-making and increase resources for public education. ❡ From 1992 to 2008, Eric taught Asian American and Ethnic Studies at San Francisco State University where he mentored and supported hundreds of young people to become active in their communities and the political process. 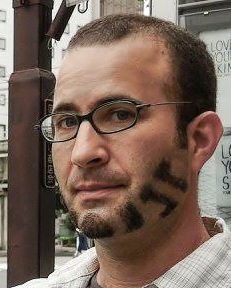 He is also an elected member and past Vice Chair of the San Francisco Democratic Party’s Central Committee. Eric has worked to strengthen the local Democratic Party and build bridges with grassroots communities. ❡ Eric is the past director of the Northern California Coalition for Immigrant Rights and a longtime social justice activist with the Chinese Progressive Association and other grassroots organizations. 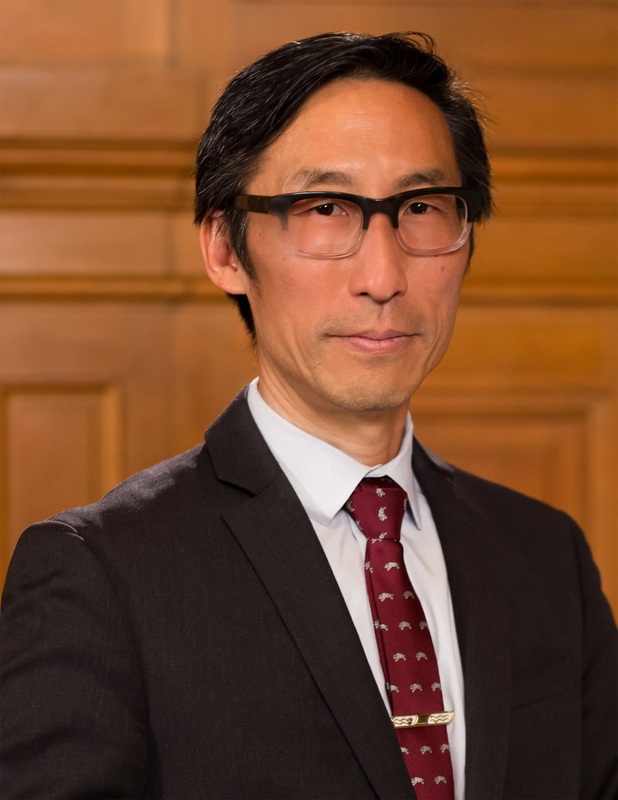 As a public interest attorney, he served on the Human Rights Committee of the State Bar of California and the Civil Rights Committee of the National Asian Pacific American Bar Association. He is an ally of the labor movement and a past shop steward with SEIU Local 790. 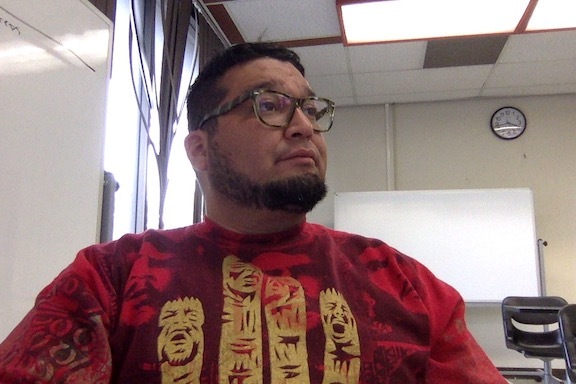 Fred Alvarado is an interdisciplinary artist who reflects and collaborates with communities in creating art projects. His work investigates sites through the creation of parallel narratives. These stories flirt with what potentials could be reached, those that have been, and those that could have been. His art work looms in imaginary scenarios of a future humanity concerned with understanding the potential threats and strengths of it’s own nature. The objects, conversations, and documentation that come from this artivism become a form of radical science fiction portrayed in murals, videos, photography, and writings. Future Relations is a MADE 2017 finalist project. Gregory Stock is a design strategist, writer, and social impact leader. He believes in the fundamental power of design in shifting our communities towards positive and meaningful change. He has worked for a number arts organizations in the Bay Area including the Djerassi Resident Artists Program, Illuminate (The Bay Lights), and the Fine Arts Museums of San Francisco (de Young and Legion of Honor). He completed his graduate work in the Design MBA program at California College of the Arts studying innovation, design thinking, and futures work. His work focused on the future of museums and gender in the workplace. As a member of Emerging Arts Professionals San Francisco/ Bay Area, he continues to advocate for the growth of the arts sector supporting individual artists. He began his career in the arts at the Saint Louis Regional Arts Commission. Along with his MBA, he holds his B.A. in American Studies from Saint Louis University. Jason Schmelzer, CA Advocates for the Arts – Jason Schmelzer joined the Shaw / Yoder / Antwih, Inc. team as a lobbyist in 2009. Prior to joining the firm he served as a lobbyist for four years, most recently for the California Chamber of Commerce. His primary responsibilities at the California Chamber of Commerce included directing legislative advocacy for their over 15,000 member companies on issues such as transportation, air quality, chemicals policy, workers’ compensation, and other lines of insurance. Prior to his work at the California Chamber of Commerce, Mr. Schmelzer served as Legislative Director for the California Manufacturers and Technology Association. He resides in Sacramento with his wife and two sons. Kevin Seaman is a multidisciplinary artist, arts consultant and the Director of Bring Your Own Queer (BYOQ.org). 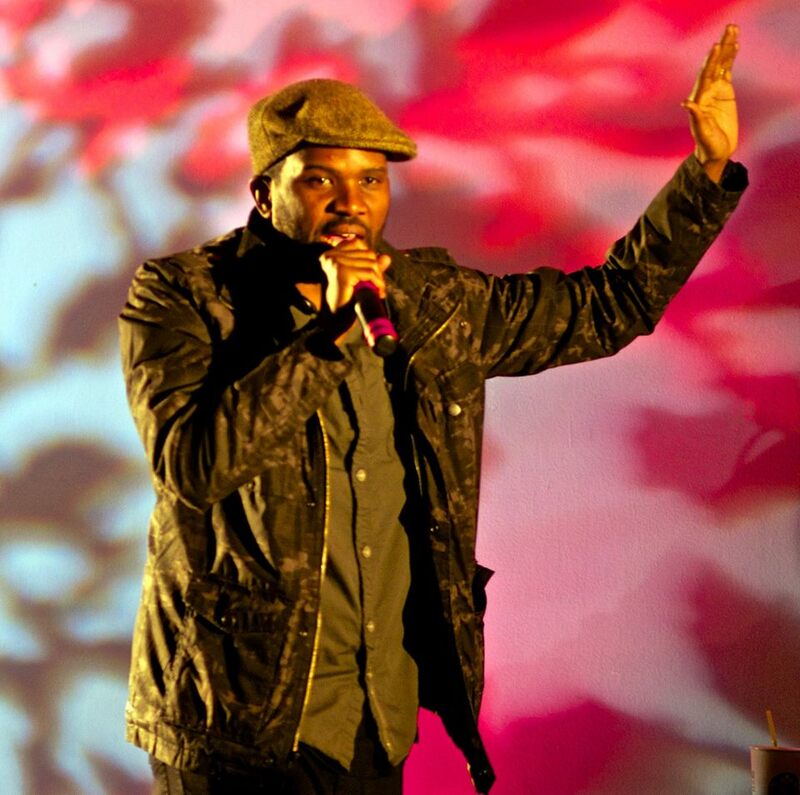 He was named one of SF Weekly’s 16 Artists To Watch in 2016 and was an inaugural member of the Association for Performing Arts Presenters’ Leadership Fellow Program. He has led artist-focused workshops for the National Queer Arts Festival, Intersection for the Arts, Center for Cultural Innovation and Groundswell Institute, and has promoted queer arts on a national level by co-facilitating workshops for Grantmakers in the Arts and APAP|NYC. Creatively, he has been presented at Atlantic Center for the Arts, the de Young Museum, Austin International Drag Festival, Yale School of the Arts and FRAMELINE, and has produced a myriad of performances and events that highlight LGBTQ and drag culture. 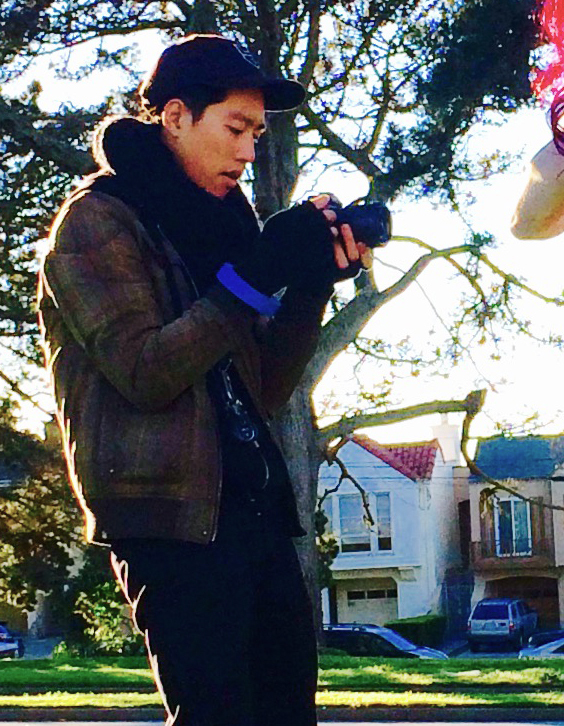 Kevin is currently in production for his first solo production #femmasculine. Kumu Kau’i Peralto is a Native Hawaiian cultural practitioner, educator, social justice advocate, community activator, eldest daughter, mother, wife, and grandmother. Liz Kukka has over 10 years of experience in program, systems and service design; curriculum development and evaluation. She’s currently Program Manager at Plug & Play Tech Center (Insurtech vertical – Accelerator program). Her day-to-day includes logistics management and outreach, as well as process, systems, and service design. 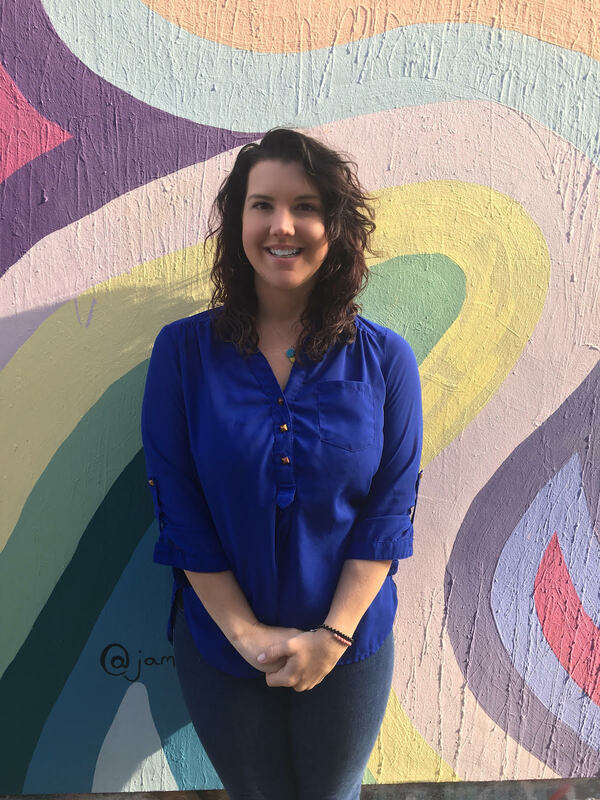 Previously she spent 2 years as a service design consultant where she facilitated workshops and design sprints that included identifying tactics for long-term implementation for SMBs, enterprise, and non-profits. Prior to that, she worked at SFUSD for 7 years as a classroom teacher. Marline Zaibak is a dedicated arts producer specializing in community/ civic engagement. Currently, in her role as Director of Professional development and Members Services for Intersection of the Arts, Marline is the creative producer of the Common grounds arts festival and delivers various professional development opportunities, including creative opportunities for Intersection member projects. ❡ In Australia she held positions Art Center Melbourne as the Producer – Participation, Family and Youth Programs as the Coordinator of City of Melbourne’s Creative Space Program and Creative Producer of the Anti-Racism Action Band. 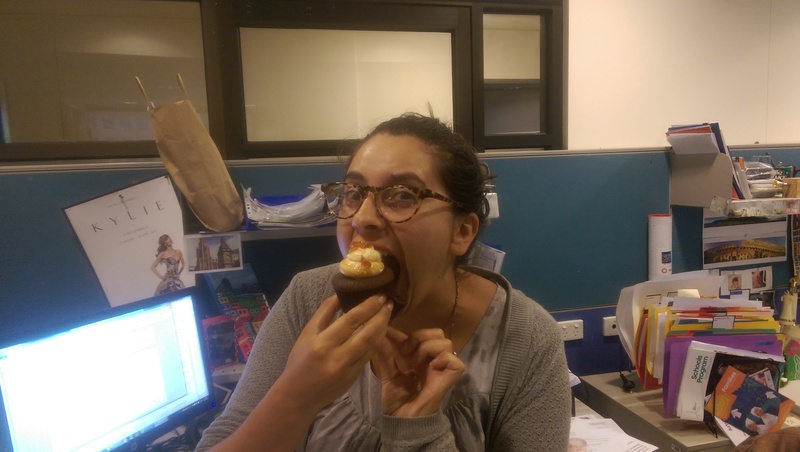 Marline has a long history in advocacy for diversity in the arts and held positions on the Australia Council for the Arts Community Partnership Board, Platform Youth Theatre Board of Management and Melbourne Workers Theatre Board. During her career, Marline has delivered various touring projects abroad, working with the Barbican (UK), Southbank Center (UK), Edinburgh Fringe Festival (UK), Beirut Council of the Arts (Lebanon) and both Turkish (Turkey) and Venice (Italy) Biennially. Patricia Cariño Valdez is the Curator and Director of Public Programs at the San Jose Institute of Contemporary Art (ICA). 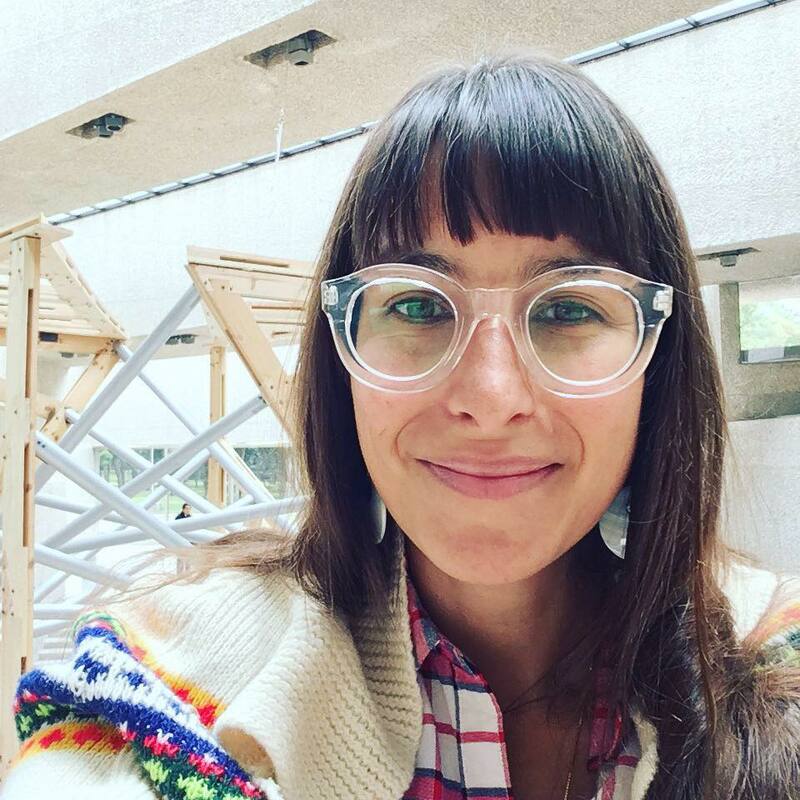 Prior to her current role at the ICA, Cariño worked at the intersection of arts and sciences as the Public Programs Coordinator and Development Specialist at the Exploratorium in San Francisco. Cariño’s curatorial projects have been held at the Wattis Institute for Contemporary Arts, Asian Contemporary Arts Consortium, Oakland Museum of California, Pro Arts, California College of the Arts, and numerous independent galleries and art spaces in San Francisco and Oakland. She was born in Manila, Philippines and grew up along the West Coast of the United States. Cariño earned a BA in Art History from the University of California, Berkeley and an MA in Curatorial Practice from the California College of the Arts. Patricia is also an alumna of the EAP Fellowship Round I! 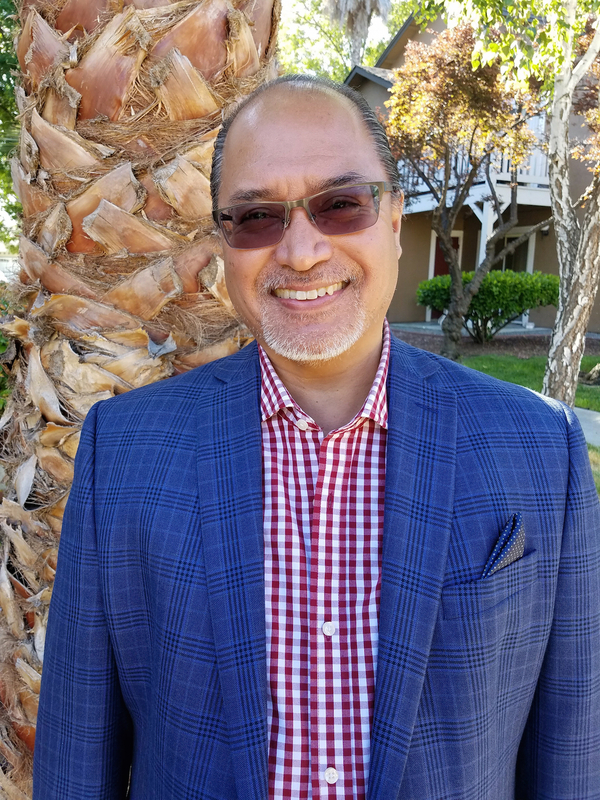 With 20 years of experience in advocacy, educational equity, nonprofit systems and social justice, Ron P. Muriera is the Development Director with San Jose Stage Company, and owner of RPM Consulting, providing consulting services in advocacy, arts & culture, education, and social justice. He serves as a Commissioner on the San José Arts Commission, and chairs the commission’s Public Art Committee. Ron also serves on the boards of several nonprofit organizations which include: California History Center Foundation, and the Filipino American National Historical Society (FANHS). He resides in San Jose with his wife and their 2 children. Todd Berman has been using his art to explore what makes San Francisco so special ever since arriving here from New York in 1998. He creates scenes that capture a chaotic sense of community in bright, expressionistic drawings and crowd-sourced, collaborative collages. You may have seen his City of Awesome paintings filling public buses as part of the SF Beautiful’s Muni Art project in 2015. 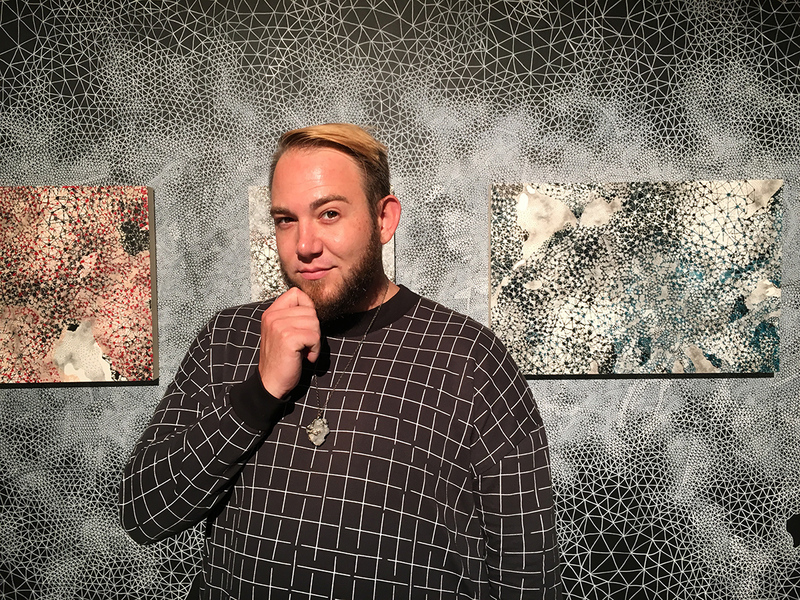 He also uses his art as an educator for museums, city programs, curriculum development, teacher trainings, and in classrooms throughout the San Francisco Unified School District since 2000. Todd advocates for more and better arts education as the director of the Arts Education Alliance of the Bay Area. 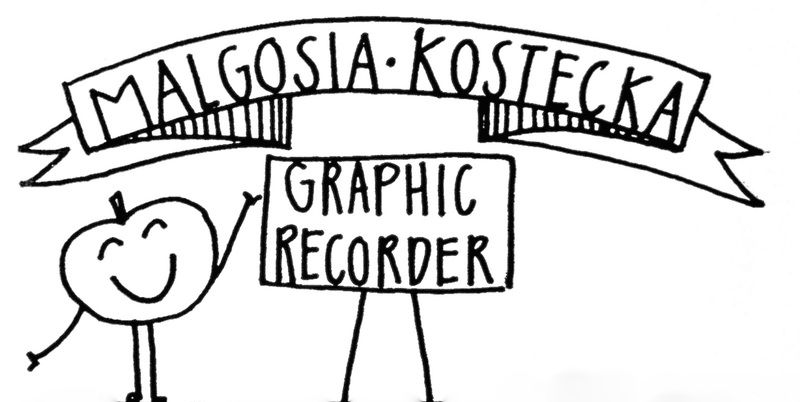 Malgosia Kostecka specializes in creating interactive visual frameworks for group collaboration and strategic visioning. With a background in education and project coordination, Malgosia is dedicated to leading participants in their process design, using creativity to achieve fruitful outcomes. 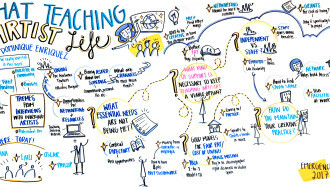 She pursued the field of graphic facilitation after witnessing how previously frustrating meetings became successful and engaging with the use of a shared visual memory. 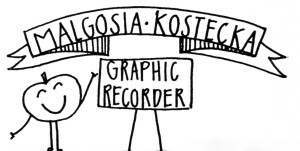 Malgosia holds a bachelor of arts in psychology and fine art from The University of California, Santa Cruz.